Windows Essentials (also called Windows Live Essentials) was a suite of desktop applications that included various Microsoft programs, like Messenger, Mail, Movie Maker, Photo Gallery, Writer, and OneDrive. The last version of the suite was released in 2012, with the final update in 2014, and reached end of support on January 10, 2017. Microsoft removed the pack from its site last year, and while it is officially no longer available for download, you can still get it -- if you know how. And the good news is tools like Movie Maker work fine on Windows 10. This is a valid point, but you can download Microsoft Windows Live Essentials 2012 from the Internet Archive, which is a very safe source. 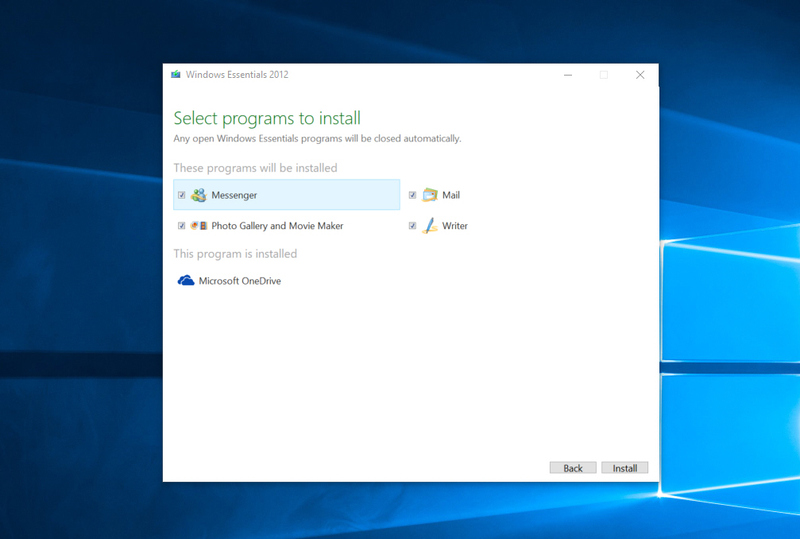 It requires you to be running Windows 7, or later, and as you might expect from a suite that hasn’t been updated in 4 years, some programs -- Messenger in particular -- don’t work anymore. However, Movie Maker and Windows Photo Viewer run without problems on Microsoft’s newest OS. You can download the suite from the Internet Archive here. It’s a 131MB file, and you have the choice of downloading it directly from the site (slow) or as a torrent file (much faster). 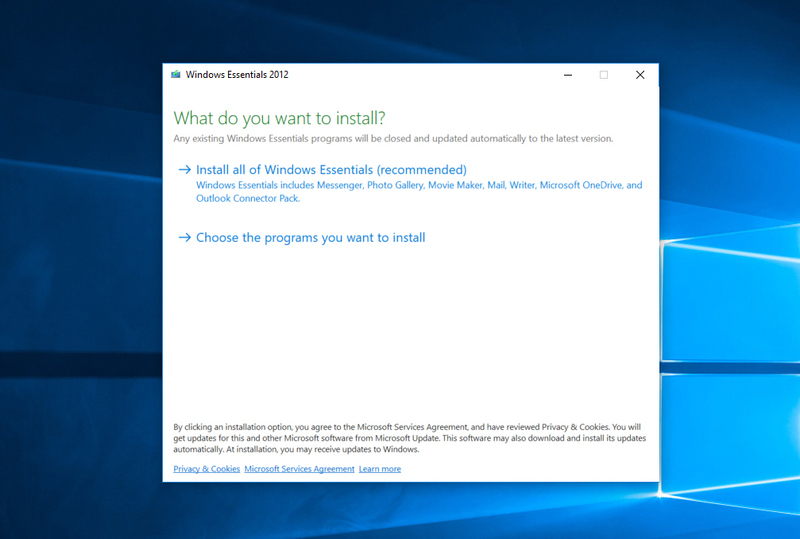 While the option to install all of Windows Essentials was the recommended choice back in 2012, you’ll want to select 'Choose the programs you want to install' now and just pick the required tools. Naturally, running old, unsupported software isn't a great idea, but if you're desperate for one of these programs, this is the safest way to get it. Note: If it throws up an error during installation, you'll probably find it has installed anyway. If not, make sure you're running English (United States) as your default language.